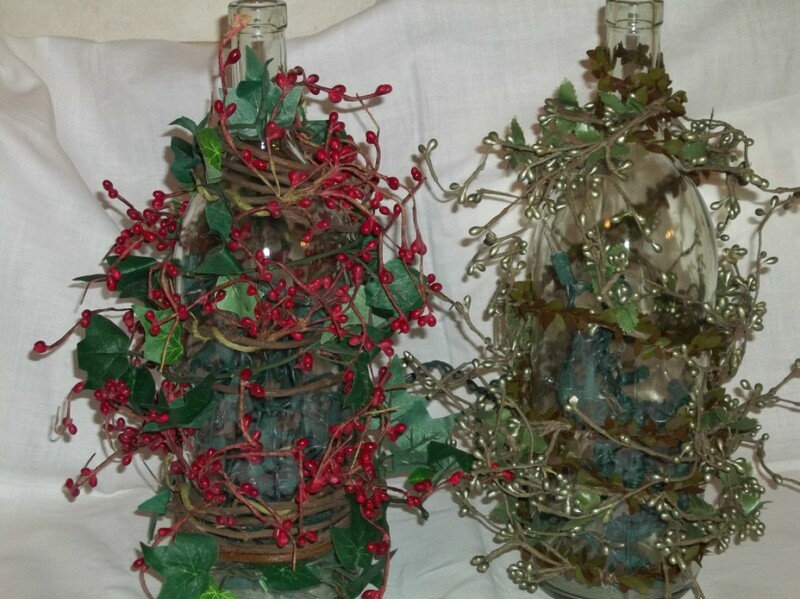 Wine bottles inspire many crafting ideas. 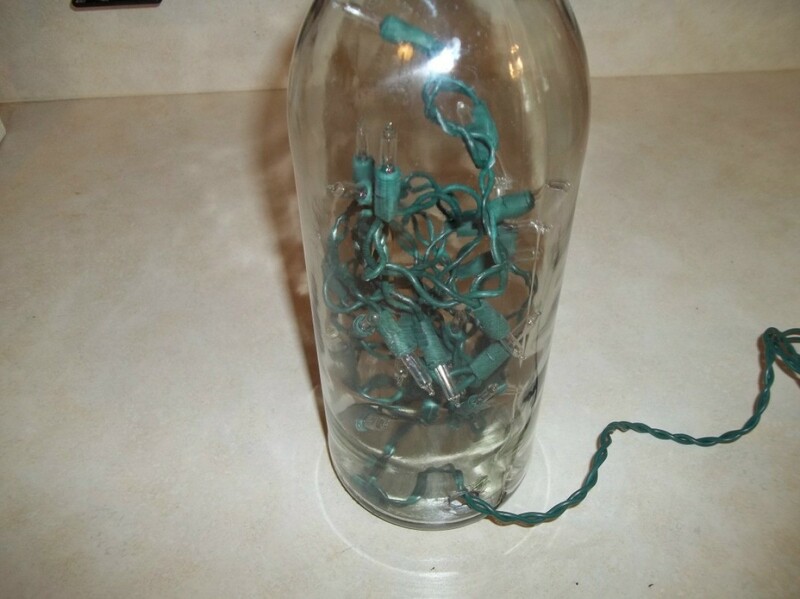 This is a guide about making a wine bottle lamp. 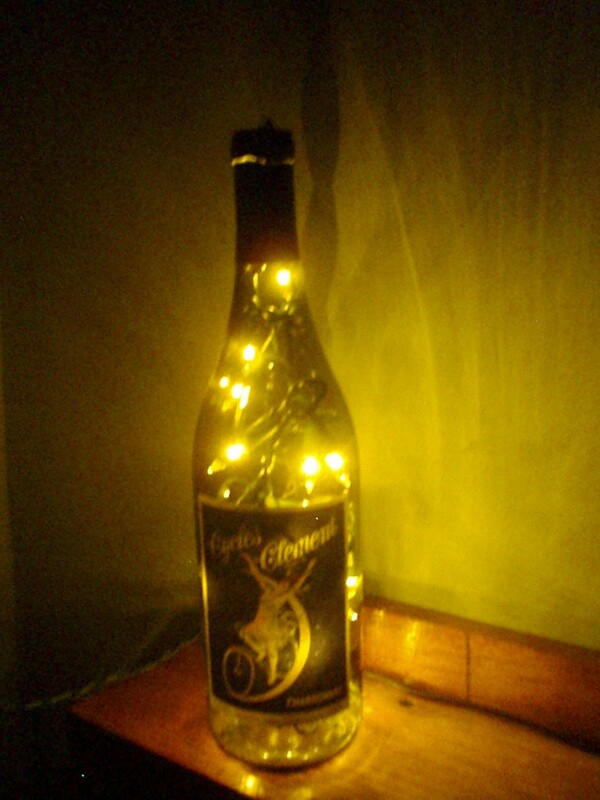 Recycle your old wine bottles into beautiful lamps. They can be displayed on a counter, table, or anywhere where an outlet is within close proximity. I used Christmas tree lights that were on clearance after Christmas for the electrical portion of the lamp and a diamond-tip drill bit to make a hole in the bottles. A little more digging in my craft supplies revealed several floral possibilities for decorating them. Make several as gifts or merchandise for your next craft show. Rinse out your wine bottle. If your label is not very decorative, or you think it may be distracting to the finished design, remove it by soaking the bottle in hot soapy water, then peel off the label. Use steel wool to remove any glue residue. Stand the bottles upside down to drain and dry. Tip: To dry and drain my bottles, I hooked them over the end of the shepherd's hooks that hold the hanging flower pots in my yard. Drape an old bath towel over a wooden box similar in size to a miter box. Lay the wine bottle on the towel, allowing it to sink into the box. The box will hold the bottle in place while drilling. Place a piece of masking tape on the side of the bottle, 1/2 inch above the bottom edge. Measure up 1 inch from the bottom edge and make a mark on the tape. Drill a 1/2-inch hole at the mark using a diamond-tip drill bit. Shake out the glass plug and dust. Tip: The glass will get very hot during drilling. To prevent cracking, dip the tip of the bit in water before beginning to drill. Place the tip at an angle over the mark. Do not apply heavy pressure. 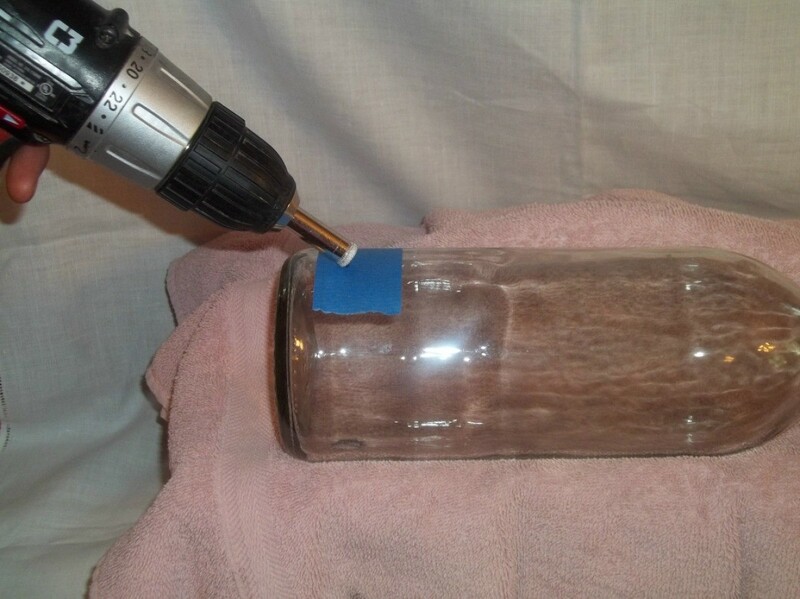 As the bit begins to create a groove in the bottle, stand the bit up straight and firmly drill through bottle. Ease off on the pressure just before it goes all the way through the glass. This will prevent chipping around the hole on the inside of the bottle. Turn the bottle upside down. Insert the light on the end of a clear 35-light string into the drilled hole. Continue to insert each light on the string. With the bottle upside down, the string of lights will fall toward the neck and fill the bottle. After the last light has been inserted, turn the bottle right side up. Twist together a 4-foot length of ivy garland (or other greenery garland) and pip berry garland. The pip berry garland will have wire in the vine and the berry stems. Cut using wire cutters. Wind the end of the twisted garland around the light cord where it extends from the drilled hole. Twist the wire end of the pip berry garland to secure. 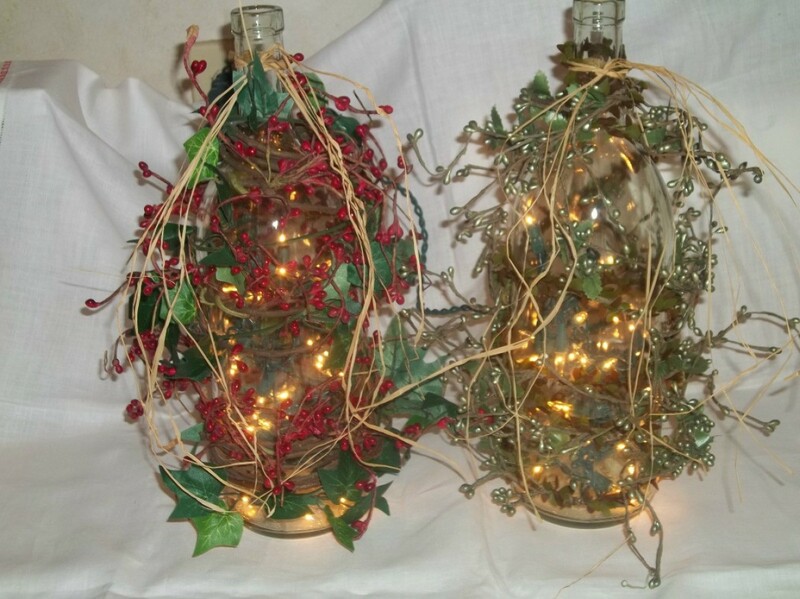 Wind the garland around the bottle to the top of the neck. Wrap the end around the neck and twist the ends to secure. To prevent the garland from untwisting, bring pip berry stems together on rows of the wrapped garland that are right next to each other. Twist the stems together. Randomly repeat around the bottle until the garland is secure. 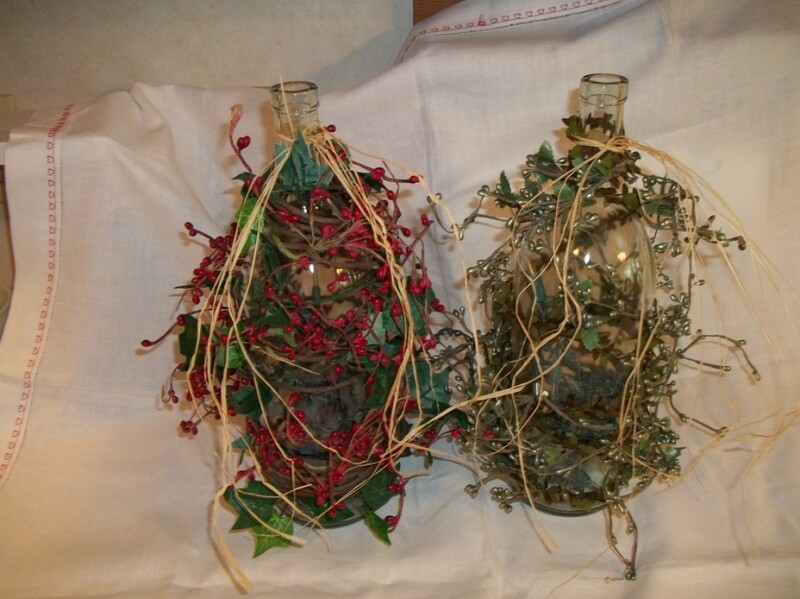 Optional: On some of my bottle lamps I added grapevine before adding the ivy and pip berry garland. This is a very beautiful craft idea, and the easy-to-follow instructions will be an inspiration and all the encouragement needed to get others interested in such a neat project. I have saved a few "good" wine bottles and my hubby has the tools needed, so I have something else to add to his "HoneyDo List" now. I wish I'd known how to make this last Christmas, but I'm planning to make good use of it this year. Thank you so much for sharing your lovely lamps. I collect bottles with pretty labels and just add a cheap string of small lights into them, taping the cord down the back so it doesn't show. 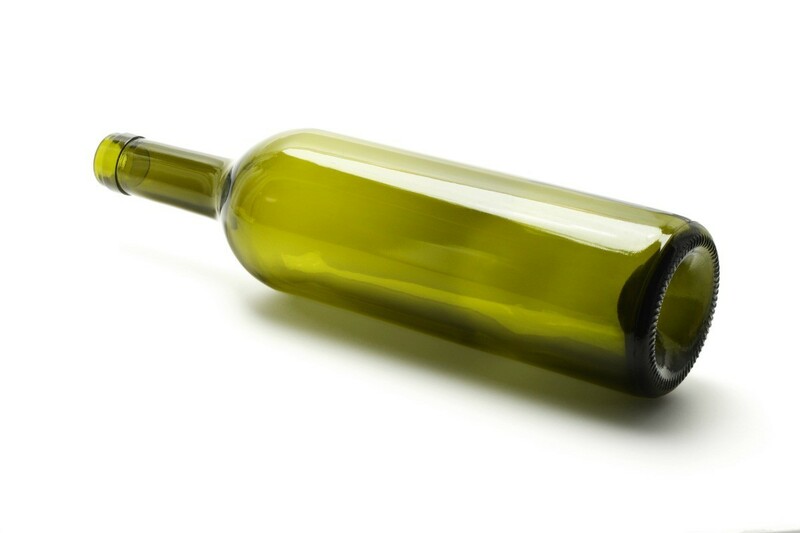 Empty wine bottles are often used in craft projects. 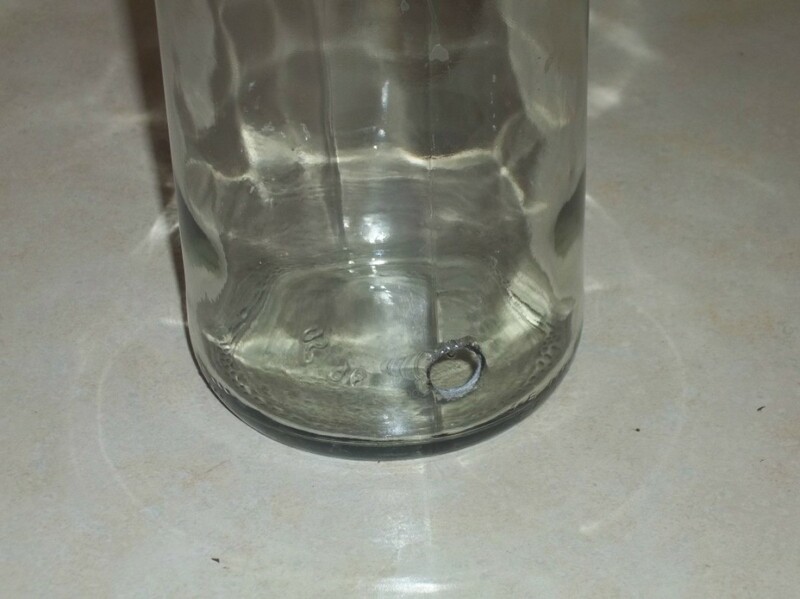 Using the right process you can successfully drill holes in the glass. This is a guide about drilling a hole in a wine bottle.